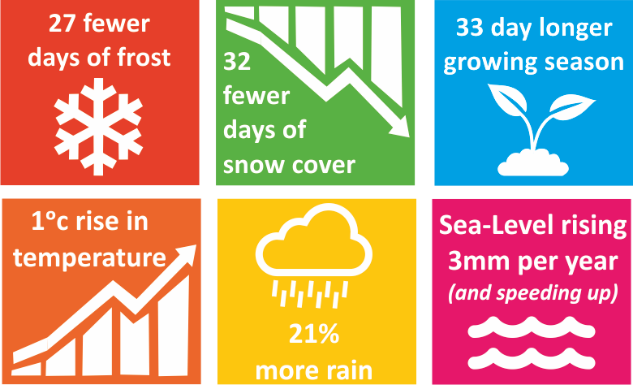 Here at HES we care for an incredibly diverse and spectacular range of properties – but have you ever wondered how they are affected by changing climate? We have. Climate Change Scientist David Harkin explains. Uncover the climate change challenge faced at historic sites from Kilchurn to Kisimul. Many of our sites were constructed in very carefully selected locations. 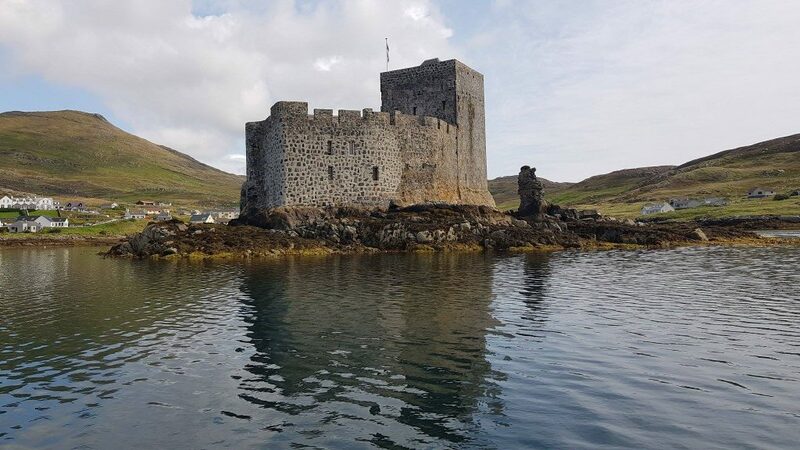 For example, Kisimul Castle was built on a small island, which gave it great defence capabilities. 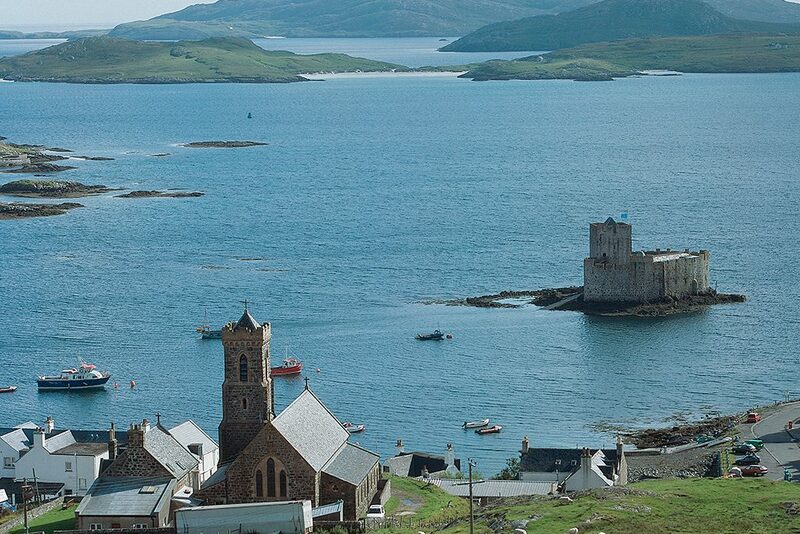 Kisimul Castle, a small island stronghold off the coast of Barra in the Western Isles. Our ancestors needed to make use of naturally available resources, like the lines of sight afforded by a coastal location. This has left many places in our care on the front line of changing climatic and environmental conditions. Their survival is testament to their resilience against naturally occurring hazards like flooding. Many of these properties have undergone quite extreme changes in the past and survived to tell the tale, like Kilchurn Castle in the West of Scotland. However, today’s changing climate is a much larger scale threat. Climate change is subjecting historic places to new environmental conditions they were never designed to deal with. Did you know Kilchurn Castle was once only accessible by boat? 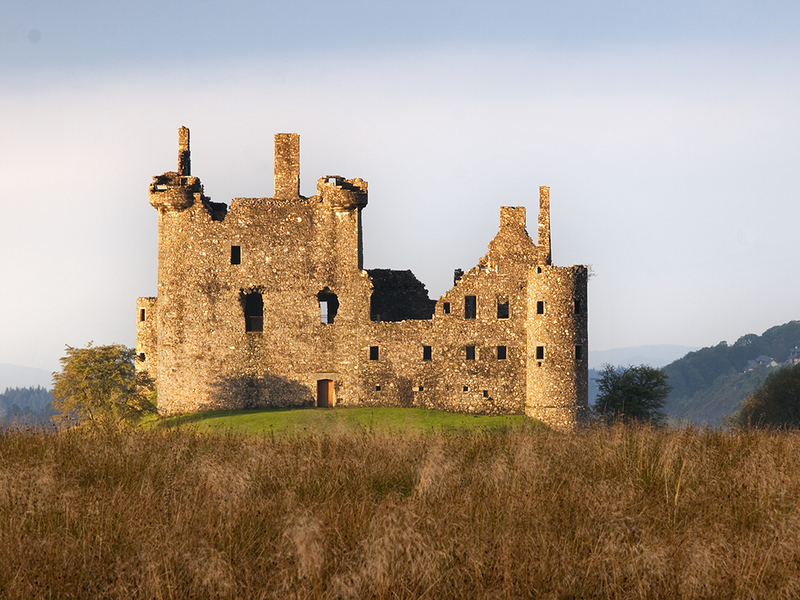 It was originally constructed on a rocky knoll surrounded by the waters of Loch Awe. The castle has been a fixture of the Loch Awe landscape since the mid-15th century. Phases of expansion took place right up until the end of the 17th century, but by the end of the 18th century the castle was abandoned, unroofed and exposed to the unforgiving climate of Western Scotland. Today, visitors can reach the castle ruins on foot. Timothy Pont map of Loch Awe showing Kilchurn Castle (Castel Cheulchurn). Reproduced with the permission of the National Library of Scotland. The change in access was a result of a drainage project in 1817 to clear the main outflow of the loch. This lowered the water level, connecting the isolated rocky mound the castle was constructed to the mainland. Today, the ground around the castle is predominantly marshy. In our recent climate change risk assessment, we learned it’s also highly susceptible to flooding. 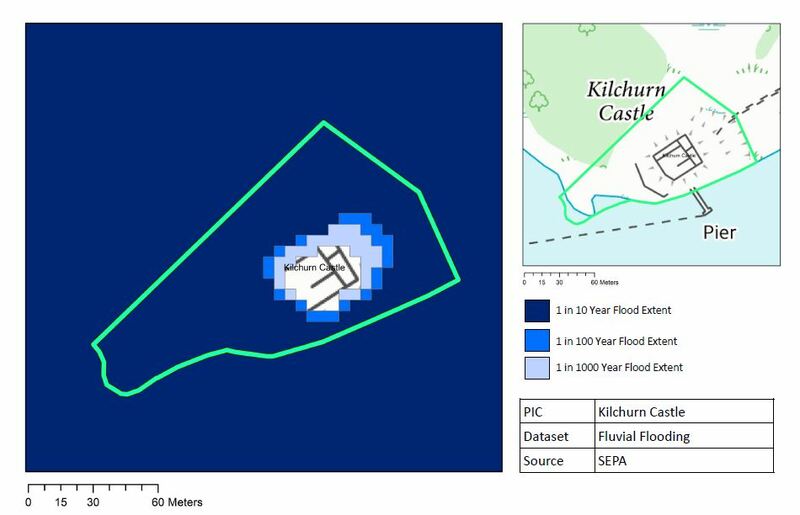 Fluvial flooding risk map for Kilchurn Castle © nerc. In an example like Kilchurn, the risk posed from flooding is reduced by its historic design and position in the landscape. It is inherently resilient. There are many reasons for selecting this particular location for constructing Kilchurn, not least its natural defence capabilities. It’s just one example demonstrating the acute ability of our ancestors to select sensible locations to build on. The legacy of this is that Kilchurn Castle should always remain high and dry in the face of climate change challenge yet to come. 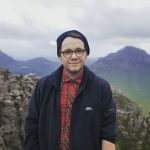 Climate change is increasing the amount of rainfall we experience in Scotland. Since the 1960s, annual totals have increased by approximately 20%. Looking ahead, seasonal variations in rainfall are predicted to become increasingly distinct. Summers will become drier, but with shorter, more intense periods of rainfall. Our winters, we are sorry to say, will get wetter. All this will change the rate and severity of flooding at many of the properties we care for. Whilst Kilchurn Castle itself should remain safe from floodwaters, visitor access will become disrupted as the land around it becomes ever more marshy. This means we’ll have to make changes to the way we manage visitor access to sites like Kilchurn. There are also smaller scale processes of change that will impact Kilchurn. For example, more rain falling on exposed stonework means it will deteriorate. This climate change challenge is particularly present at places which no longer have a roof, or the protection that offers. Understanding how historic places properties react to changes in temperature, rainfall and so on will be crucial in our future conservation work. We can’t preserve Scotland’s historically and culturally significant monuments unless we understand what they’re up against. We have just published our first ever Climate Change Risk Assessment, looking at the climate change challenge faced at every property in our care. Watch our video for an overview, and download our report to find out more. Climate change can change every country. It is a event that can cause a big toll to humanity.